Gina Raimondo shows how tough pension reforms can pay fiscal and political dividends. Gina Raimondo knew what he meant. The Rhode Island treasurer, a venture-capitalist-turned-political-rising-star, was listening as a convention delegate and understood tough fiscal math. When she took office in January 2011  she had won a commanding electoral victory after campaigning for fiscal and pension reform  her tiny state was struggling under a huge debt burden and ballooning pension liabilities. The $7.4 billion state retirement plan was only 50 percent funded and on course to run out of money as early as 2019. For decades Rhode Island officials had fitfully tried to reform the system, with little success, as workers and retirees fought to keep hard-won benefits that the state could no longer afford. With focus and determination, a sure command of finance and a gift for forging consensus, Raimondo took up the challenge. She produced a blunt, hard-hitting report titled Truth in Numbers: The Security and Sustainability of Rhode Islands Retirement System that made a stark case for pension overhaul: Without drastic measures to rein in costs, the report asserted, the states retirement liabilities would devastate a wide range of government programs and ultimately bankrupt the pension plan itself, to the detriment of retirees. Pension reform was not an easy sell in a state with a Democratic-controlled legislature and strong unions. But Raimondo traveled across Rhode Island, arguing her case with voters, legislators and union representatives in a series of town-hall-style meetings. Her campaign received a powerful boost in the summer of 2011 when Central Falls, a small city just north of Providence, became the first-ever Rhode Island municipality to file for bankruptcy, almost entirely because of its pension burden. The treasurers efforts secured a dramatic triumph when in November 2011 the states legislature passed a major pension bill by a wide margin and the reforms were signed into law by Governor Lincoln Chafee, a Republican-turned-independent and son of a longtime U.S. senator. The Rhode Island Retirement Security Act of 2011 increased the minimum retirement age for most employees not already eligible to retire, suspended cost-of-living adjustments for retirees and moved all public workers except public safety officers who pay into Social Security and judges to a hybrid defined benefitdefined contribution system. Even more significant, the new law rewrote the rules for everyone, including fully vested employees and current retirees, not just 20- and 30-something workers. That achievement, the first by any state, has a meaningful impact on the funding gap and promises to ease some of the generational tensions that hamper many pension reform attempts. Government officials in other cash-strapped states have taken notice, as have labor advocates. All are closely following a lawsuit filed by public sector unions to block the Rhode Island law. High-profile litigator David Boies is aiding the states defense. The treasurers legislative achievement has translated into considerable political capital: Along with Angel Taveras, the mayor of Providence, she now ranks as one of the two most popular politicians in the state. Many see the quietly ambitious Raimondo as a prime prospect for higher office. In tackling Rhode Islands pension woes, Raimondo joins a new generation of politicians and policymakers, both Democratic and Republican, who are trying to solve deep-seated fiscal and economic problems in their cities and states. At a time when partisan wrangling is wreaking havoc in many state capitals and politicians in Washington are engaging in a game of chicken over the so-called fiscal cliff, Raimondo and her cohorts take a pragmatic approach and seek to respect the views of all stakeholders. In Newark, New Jersey, for example, Democratic Mayor Cory Booker worked with Republican Governor Chris Christie to forge a deal with the citys teachers union that includes a pay-for-performance component. In California the Republican mayor of San Diego, a former police chief, and the Democratic mayor of San Jose led calls for referendums on cutting pension benefits in their cities; both passed by wide margins. Before Raimondo succeeded in obtaining the pension law, she had already taken an important step to bolster the retirement system, persuading her colleagues to reduce the pension funds projected annual rate of return from 8.25 percent to 7.5 percent. Although the change made the funds look even sicker, lowering the funding ratio (now at about 51 percent), ­Raimondo believes it is critical to use realistic investment assumptions. 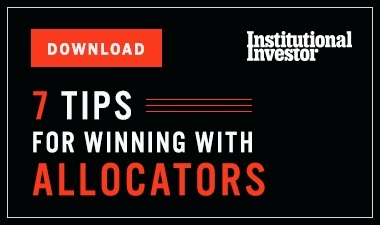 As a former investor, she also moved quickly to retool the plans portfolio to reduce risk while still generating reasonable returns. For long-term health, she knew, the pension system needed three elements: reduced liabilities, a realistic assumed rate of return and effective investment management. Established in 1936, Rhode Islands retirement system comprises four plans: the employees and teachers retirement funds, which are combined; the Judicial Retirement Benefits Trust; the State Police Retirement Benefits Trust; and the Municipal Employees Retirement System. The entire system is managed by the treasurer and her staff and overseen by two boards. The Employees Retirement Board of Rhode Island has oversight for the plans liabilities, and the ten-person Rhode Island State Investment Commission oversees investment strategy, manager selection and asset allocation. The treasurer chairs both boards. The retirement system has had a significant impact on the states fragile fiscal condition. When Raimondo took office, the state, with a population of just over 1 million and an unemployment rate of 11.9 percent in January 2011, had laid off a larger share of its state and local government workers than any other state, according to a study by the Nelson A. Rockefeller Institute of Government. Rhode Island is far from the only state suffering from pension funding woes and budget deficits. A June report by the Peter G. Peterson Foundation, which focuses on the nations urgent fiscal challenges, paints a grim picture of declining aid from Washington and tax revenue against a backdrop of rising Medicaid and pension costs. After the financial crisis erupted in September 2008, pension funds suffered a one-two punch of depressed equity markets, which lowered portfolio returns, and unprecedented low interest rates, which increased future liabilities. As a result, the funding ratio for state retirement plans  the key measure of their health  fell from 100 percent in June 2001 to 76 percent in June 2011, according to a report by Santa Monica, Californiabased investment consulting firm Wilshire Associates. Many critics argue that accounting practices such as smoothing and assuming a high rate of return mask numbers that are in truth even worse. Raimondo grew up in a middle-class Italian-American family, the daughter of a Navy World War II veteran who worked as a chemist at the Bulova watch factory in Providence and a homemaker who looked after Raimondo, her brother and sister, and their grandfather. Raimondo attended Catholic schools in Smithfield and Providence, got good grades and was valedictorian of her class at La Salle Academy. Shes a local girl who worked hard and is very intelligent, says Gordon Fox, the powerful Democratic speaker of the Rhode Island House of Representatives. 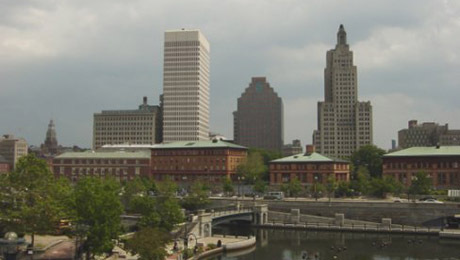 Before moving to Providence, Raimondo looked for a business partner. Through networking contacts she found David Martirano, a local-boy-made-good who at the time was working for a family office in Providence, and David Mixer, a venture capital executive. In 2000 they formed Point Judith Capital, a venture firm that aimed to take advantage of local talent. While developing Point Judith, Raimondo was building her relationships in the community. She quickly impressed Merrill Sherman, then president of Bank Rhode Island, who recommended that Raimondo join the board of Crossroads Rhode Island, a Providence homeless shelter. It didnt take very long to know she is an exceptional person, says Crossroads head Anne Nolan. Other Rhode Island business leaders soon came into the orbit of Raimondo and her husband. Among them: J. Michael Costello, a partner with Providence high-net-worth advisory firm Endurance Wealth Management, and Andrew Reilly, now a partner with Boston and New Yorkbased private equity firm Accretive Capital Partners. Both men were and remain active in state politics; since 2000, Costello has been a member of the State Investment Commission. In 2001, Raimondo and Martirano closed on their first fund, the $14 million Point Judith Venture Fund I, and began putting their money to work. Successful investments in the medical portfolio of the first fund included a $2.5 million stake in GetWellNetwork, which provides patient care services and software to hospitals. But when the deal flow could not sustain the funds growth, the partners decided to cast a wider net. As the two looked for transactions, Raimondos people skills proved useful. Gina has the amazing ability to have a conversation with a CEO and also to sit down with a person who is working on the shop floor, getting everyone to agree to the terms of a transaction, says Martirano. While she worked at Point Judith, Raimondo, along with her husband, continued to put down roots in the community. In 2004, Moffit was appointed to chair the Providence Water Supply Board, succeeding Robert Walsh, who today heads the National Education Association Rhode Island. Raimondo became an active member of the Crossroads board. 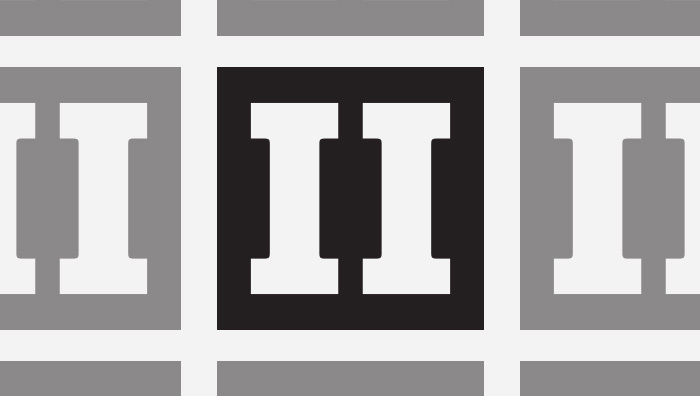 By 2007, Point Judith was ready to launch its second fund. By this time, Raimondo had struck an agreement to share deal flow with the Boston office of Tudor Investment Corp., a hedge fund firm based in Greenwich, Connecticut. Tudor became the lead investor in Point Judith Venture Fund II, with a $15 million commitment, and also took an equity stake in Point Judith Capital. Other investors in the second fund included the Rhode Island state pension system, which in September 2007 voted to make a commitment of as much as $5 million. In late 2007 the U.S. economy fell into recession, and in September 2008 the Lehman Brothers Holdings bankruptcy set off the global financial crisis. By 2009, Rhode Island was reeling. Raimondo saw that the state needed financially savvy people who could further the cause of fiscal reform, and she thought a well-connected venture capitalist like herself might be just the ticket. I wanted to take the best standards that I could and bring them into government, Raimondo says. Raimondo had been considering the idea of political office for some time. Then she got lucky. By late 2009 Treasurer Frank Caprio had launched a campaign for governor, which meant his seat was open. Raimondo reached out to Costello as a friend and in his role as a member of the State Investment Commission, telling him she was planning to run. I told her, The elephant in the room is the pension liability,  Costello recalls. Pension benefits could be changed only through an act of law, he reminded her, and the treasurer has no direct influence over the state legislature. By June 2010, the state employees and teachers retirement plans were 48.4 percent funded, down from 62.3 percent in 2008. The funding ratio for the judges plan stood at 77.8 percent, the state police plan had fallen to 69.7 percent, and the municipal retirement system had a funding ratio of 73.6 percent. The retirement plans were continuing to pay out more in benefits than they were bringing in and draining a greater share of the state budget. There was some good news. Beginning in 2007, Caprio and his CIO, Kenneth Goodreau, had begun to rebuild the portfolios to more effectively balance risk and return, recommending the introduction of hedge funds. Significantly, as the credit bubble expanded, Caprio and Goodreau grew much more conservative, giving the plan a high 6 percent cash position by mid-2008. When markets tanked in 2008, the pension system did not have to sell out of any positions to fund obligations. Still, the system delivered middle-of-the-pack results during this period. For the three years ended in 2009, its average annual return of 3.77 percent placed it in the top three quarters of public funds with $1 billion or more in assets. Such was the state of affairs when Raimondo began to finance her campaign for treasurer. Early on she reached out to established members of the Rhode Island financial and political communities, such as Costello and private equity executive Reilly, who had been appointed to the State Investment Commission in 2007. Reillys family had political connections: His father had served as Democratic state chairman and his grandfather was a mayor of East Providence. The insider was happy to help Raimondo. If someone who is a friend actually wants to subject themselves to the scrutiny and intensity of public office, Im willing to do what I can to help, he says. Raimondo also tapped her own network of friends and contacts. People were willing to step up and support her; people wanted her to succeed, says Martirano, her business partner. I first among them. Raimondo contacted former Harvard, Oxford and Yale classmates, as well as politically and financially connected names outside the state. Along with Booker and Garcetti, hedge fund executive Kramer contributed to her campaign. All told, Raimondos 2010 campaign raised $917,369, almost four times more than that of her Republican rival, Kernan (Kerry) King, a lawyer and former life insurance executive. With strong local support, Raimondo ran on a promise to fix Rhode Islands finances and reform its pension system. She highlighted the need for pension liability reform, though she did not identify any painful specifics. Raimondo ran unopposed in the Democratic primary. Her 62.1 percent share of the vote was greater than that of any other statewide candidate. There were good reasons to doubt that the incoming treasurer would have much success in fixing the pension fund. She was a political neophyte with no obvious connections to the state legislature. Moreover, Rhode Island lawmakers had already tried to restructure the pension system: In the six years before Raimondo took office, the state legislature had passed not one but three pension reform laws. Notably, a 2005 bill increased the retirement age for nonvested employees and new workers in the teachers and employee retirement systems, and cut the benefit cap from 80 percent of final salary to 75 percent. Toward the end of her election campaign, Raimondo had her first meeting with the Rhode Island house speaker. Fox, who would become an important ally and guide in the legislative battles to come, had served almost 20 years in the state legislature and knew the long odds Raimondo faced. I met Gina, and instantly I was impressed by her personality and her work ethic, he says. Personally, we just clicked. The treasurers ability to draw supporters to her cause would serve her well over the next two years. When Raimondo entered office, she took a three-pronged approach to the pension problem: Review the investment portfolio, continuing to damp down risk while improving the quality of returns, likely through a hedge fund commitment; conduct an actuarial review to determine if actuarial assumptions should be revised; and seriously address the liability issue. She did not know exactly how she was going to approach the liability burden, but it was clear to her that any meaningful fix would have to be big. Raimondo says she was fortunate to inherit a knowledgeable and harmonious investment commission  not always the case with public pension boards. It is also striking that the Rhode Island retirement system has never faced charges of corruption given the tradition of pay to play in many U.S. public funds and the states history of government scandal. Among those who served jail time were a Providence mayor, Vincent (Buddy) Cianci, convicted of racketeering, and a governor, Edward DiPrete, who spent a year in prison on bribery charges. 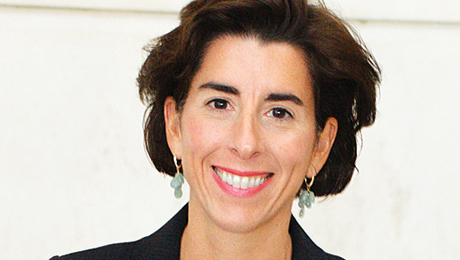 In one of her first big moves, Raimondo launched the states first hedge fund portfolio. Her predecessor and the plans investment commission had already agreed to a 10 percent allocation to real return strategies, including hedge funds, but no money had yet been invested. By the time Raimondo came on board, her office had narrowed a list of consultant prospects to three candidates: Cliffwater, Hamilton Lane and Pension Consulting Alliance. After speaking with fiduciaries who had worked with Cliffwater, which was founded in 2004, Raimondo concluded that she liked that firms combination of an experienced senior team and the hunger of a relatively new business. Talking to Cliffwater CEO Stephen Nesbitt after the consultant contract had been approved, Raimondo handed him her personal cell phone number and told him to call at once about any problem in the portfolio. I dont think Ive ever had any state treasurer offer up their cell number, says Nesbitt, who has advised pension funds for 30 years. While she was searching for a hedge fund consultant, Raimondo moved on another critical front, persuading the Employees Retirement Board to lower the portfolios assumed annual rate of return from 8.25 percent to a more realistic 7.5 percent. In April 2011 the board voted for the change over the objections of organized-labor leaders who argued that the forecast was too pessimistic and that a 25- to 50-basis-point adjustment would have sufficed. With the assumed rate of return lowered and changes to the investment portfolio under way, Raimondo turned to her biggest challenge: addressing the plans liabilities. Shed been on the job less than five months when she unveiled her Truth in Numbers report at a press conference, with Governor Chafee standing by her side. His political support was especially important because he had previously said that pension benefits for vested and retired workers should be untouchable. The report outlined a commitment to equitable and reasonable changes in benefits, affecting everyone, not just younger, new workers. It also advocated a transparent and comprehensive, self-­correcting process that could not be weakened during better economic times and linked employer and employee contributions to better share the pension burden. The report recommended working toward an 80 percent funding level within a decade. The treasurer and her staff worked hard with house speaker Fox and senate president Teresa Paiva Weed  like Fox a Democrat  to keep them informed and involved. To rally public support, Raimondo, with input from the governors office and the legislature, pulled together a 12-person pension advisory group made up of organized-labor representatives, academics, business leaders and members of the financial services industry. You needed to hear from people who did not have a dog in the fight, says advisory group member Mark Higgins, who is dean and Alfred J. Verrecchia-Hasbro Inc. Leadership Chair in Business at the University of Rhode Island. Between June and September 2011, the advisory group held four meetings. To highlight what was at stake, three of the four sessions were held in public libraries, which were vulnerable to closure under new budget cuts, and on public bus routes, which could be cut without sufficient funding for public transportation. Raimondo enjoyed a few key advantages in her fight. First, unlike many of the major public pension plans, the Rhode Island system could change its benefits without approval from affected unions. To alter benefits, the Rhode Island system needed the state legislature to pass and the governor to sign into law a statute mandating the change. To be sure, that was no small matter given that many legislators had won their seats with union backing. The treasurers second advantage was the sheer extremity of the pension crisis and the specter of more towns and cities following Central Falls into bankruptcy. When Central Falls (population19,376) filed for Chapter 9 bankruptcy protection, in large part because of its $80 million pension liability, it became the first town in Rhode Islands 222-year history to do so. No one could doubt that the towns straits underscored the larger threat to the state pension system. When a city or municipality files for Chapter 9, pension benefits often are not affected. In Rhode Island, however, before the Chapter 9 filing, Governor Chafee had signed into law a measure that protected bondholders by giving them a lien on tax and general revenue. That law and a judges subsequent ruling upholding the Chapter 9 plan reversed earlier precedents that had given retirees a superior claim in bankruptcy. Central Falls bondholders would get their money back before retirees could stake their claim. In the end, some beneficiaries saw their retirement benefits slashed by 45 to 55 percent, though other retirees were untouched. Working with the pension advisory group as well as with legislators, treasury staffers and consultants, Raimondo drew up a proposal that she hoped would save the system. It called for the retirement funds to suspend cost-of-living adjustments to all retirees until the system was better funded, at which point a market-based rate would kick in; move all but public safety employees and judges to a hybrid defined benefitdefined contribution system; and increase the minimum retirement age for most employees not already eligible to retire. The changes would reduce the states nearly $7 billion underfunded liability by more than $3 billion immediately and a further $1 billion over the next 20 years, while targeting an 80 percent funding level for all of the states five pension funds over the next two decades. Engage Rhode Island, a 501(c)4 tax-exempt political organization backed by executives from local corporations and businesses, such as boutique investment bank Riparian Partners, the Rhode Island Association of Realtors and Dimeo Construction Co., raised close to $1 million to support pension reform. In ads, billboards and statements to the media, the group backed Raimondos proposals as well as supporters of pension reform in the legislature. Lawmakers worked the proposal into a bill and called a special fall session of the legislature solely dedicated to the issue  a first for Rhode Island. On November 17 the bill passed 57-15 in the house and 35-2 in the senate. I dont think this would have happened without Gina, Fox says. Pension reform needed her particular expertise, the mandate she was elected with, her ability to connect with people and her background. Investment commission member Paula McNamara points to Raimondos ability to persuade with her numbers. She made it about math, McNamara says. What Gina accomplished here is amazing, says commission member Costello. But in pension politics nothing is ever quite done. In June, just as the legislative session was wrapping up, organized-labor groups in the state filed five lawsuits seeking to overturn the Retirement Security Act. They argued that the reforms are unconstitutional because the state could find other reasonable alternatives to the law. I think the treasurer overreached, says state labor leader Walsh. The Rhode Island case has become an important issue for national labor advocates. If the changes for vested and retired members and the hybrid plan requirements hold up, similar changes could be introduced to other states pension plans. In November, Illinois Governor Pat Quinn launched a grassroots campaign to raise awareness of the need for comprehensive pension reform in his state, after failing to get proposed reforms passed in a special session of the legislature in early 2012. Speaker Fox is confident the Rhode Island reforms will stand, though some think the case will likely be heard by the state supreme court. In early December a superior court judge, Sarah Taft-Carter, was about to hear a motion from lawyer Boies, who represented Al Gore in his 2000 presidential election recount battle and Microsoft Corp. in its antitrust lawsuit in the 1990s. Boies argues that the judge faces a conflict of interest because her mother and son, among other family members, have or will receive public pension benefits. It is too early to judge the long-term performance of the retooled pension fund, but the early signs are encouraging. For the fiscal year ended June 30, the fund returned 1.55 percent, exactly in line with its benchmark. 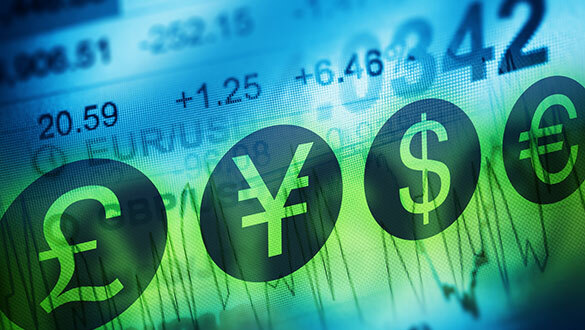 The hedge fund portfolio returned 1.43 percent, ahead of the 0.99 percent of the HFRI Fund of Hedge Funds Composite Index. A new pair of hands will soon take the reins. After almost six years at the helm, Goodreau is stepping down to return to the private sector. He will be replaced as CIO by Anne-Marie Fink, former managing director of hedge fund research at J.P. Morgan in New York. Pension reform has made the treasurer a much-admired public figure throughout the state. Both Raimondo and Providence Mayor Taveras, who reformed his citys pension fund after striking a deal with the unions, are widely believed to be considering higher political office, although neither has made a formal declaration. Governor Chafee is up for reelection in 2014, and a congressional seat could also open up. A significant part of Raimondos appeal stems from the fact that she is a local girl made good  and doing good. Says Browns Schiller, Raimondo is the first woman candidate who could really attract a wide swath of support in Rhode Island. The state has never had a female governor. Raimondos national profile is also on the rise. The day after Clintons speech at the DNC convention, the Peter G. Peterson Foundation held a luncheon to discuss state deficit problems, highlighting state and local government officials who were forging a solution, and Raimondo was a featured speaker. The Atlantic magazine named Raimondo one of the years 21 brave thinkers. Crossroads Nolan has the highest hopes for Raimondo. Gina is the only person Ive ever met in my whole life that I think, Someday I could vote for her for president,  says Nolan. That may be a bit of hyperbole from an old friend. But there is no doubt that Raimondos striking success at the helm of the Rhode Island pension fund  respecting basic obligations to state retirees even as their benefits were reduced, drawing support from both sides of the political aisle  offers lessons for federal politicians hoping to achieve fiscal health without eviscerating entitlements that have protected Americans for generations.